One of the most well-known names in the gambling industry, Betfair also runs an online casino. An easy-to-use casino with its modern Web 2.0 elements, Betfair offers a variety of games, and makes it worthwhile for new players to sign up with its generous bonus package. The casino is licensed in the jurisdiction of Malta. The casino was established in 2000 and has since gone on to become an award-winning site, winning Operator of the Year 2007. It is now accessed by over 1.7 million active players. The casino’s focus is on maintaining and improving players’ experience and that is what drives them forward in advancing towards their aim of being the best in the industry. Betfair offers a vast selection of games from which players can choose from, including card games, table games and video poker. Their most popular games though, come in the form of slots with a vast selection on offer, provided by the largest online casino game distributor Playtech. Every video slot has a distinct paytable, including some which contain random elements to them. Players can enjoy themed slots, such as the Marvel series, in addition to more generic options. Players can also enjoy table games, with a host of Roulette and Blackjack varieties to choose from, as well as dice and speciality games. The industry leading casino software developer Playtech supplies Betfair Casino with the games, ensuring high quality and slick graphics. The casino is available in both a downloadable version and an instant-play form. The instant play contains fewer games than the downloadable; however a comprehensive selection is still on offer. As already mentioned, Betfair offers a generous welcome package for new players, with players eligible for up to €200 bonus over their first three deposits. A referral scheme is also in place, with players who refer friends to the casino qualifying for a €50 bonus up to a quarterly reward of €2,000. As is expected with large casinos, a VIP Club is in place which consists of five different levels – Aruba, Atlantic City, Macau, Las Vegas and Monaco. Monthly bonuses, promotions and tournaments are all available as players progress through the VIP program, earning points which can later be converted to cash. Players can make deposits through a number of different methods, including Visa, MasterCard, Maestro, PayPal and NETELLER. 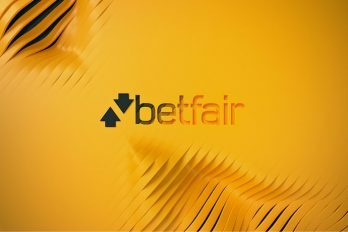 Players can be safe in the knowledge that their payment methods are kept safe as Betfair employ an SSL encryption, safeguarding players’ personal information through the latest in firewall technology. Playtech games are assumed to be safe and fair, however Betfair go beyond the call of duty and get their games tested through Gaming Associates. They publish the results through their help section online. A dedicated support team is in place on Betfair as can be expected for one of the most renowned companies in the industry. Unlike the vast majority of other casinos, there is no live chat feature, although they do have a contact form as a substitute for this. The casino offers a time frame as to when a response should be given of 4 hours. Players can also contact the casino via telephone for a more immediate and speedy response.